There’s something about hitting 30. Somehow, you are still considered young at 30 and yet not that young anymore. Many things happen when you cross the 30 mark in the many aspects of your life. Your career should be taking off at this age, you may have started a family or contemplating on starting one, you may have started accumulating wealth and you may have also started accumulating debt. 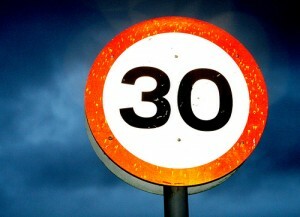 I have crossed the big 30 many, many, many years ago, I felt there were many things I should have done before I hit 30. I was listening to my friend and colleague Marvin Germo (of Stock Smarts) on the things he has been doing for financial readiness and he is not even 30. Marvin mentioned many things he has done which I only started on much later. If ever I get to do things over again, here are the finance things I will definitely be serious about before hitting 30. 1) Ensure you have a very healthy cash flow – Folks in their 20s have started to earn and have begun to appreciate enjoying their income. The problem is, they enjoy their income too well that there is a tendency to spend every peso of it. This is a fun season to many as they now have freedom to do what they want and have the means to finance what they want. This is also a time of exploration to many especially for those who had parents who were a bit restrictive (like me as a parent), however, these explorations costs a lot of money. Accumulation of stuff also begins at this season and lifestyle upgrades becomes a social pressure. 2) Minimize or resist from borrowing – Credit card companies and financial institutions are always targeting this age group because they understand that people in their 20s loves to accumulate stuff, see the world and enjoy life in general — the perfect setting to lure people into debt! Not all debt is bad but you need learn how to discern a good debt from a bad one. Generally speaking, a good debt is one that will allow you to grow your assets and/or add income like a loan to finance a business or to purchase a real estate property. Any other debt that will not grow your asset base or add on to your income would be considered a bad debt like using your credit card to finance your new Samsung or iPhone smart phone, a Michael Kors bag, or your dream vacation to Bali. People in their 20s begin to accumulate credit debt and other consumer loans which are grossly disproportional to their incomes. The bad credit decisions you will make during your 20s will have severe ramifications up to your 40s and 50s. Your credit standing will also be made or broken during this time so learn how to use credit responsibly. 3) Start investing – The best time to begin investing is whey you are young! When you have a lot of time, you can have more options on how to grow your wealth and even take in more risks. Taking in more risks will mean that there is a better chance of growing your wealth faster and you can ride the ups and downs of the economic cycles. If you lose money and you are young, you still have a lot of time to recover. The good investments for long term would be investments in the stock market or Mutual Funds or UITFs that are invested in equities. While they are volatile, they are bound to generate the best returns over a long stretch of time. My friend and investment trainer Ricky So said “take risks when you are young, if you lose your money, you still have your parents to run to” – funny guy! 4) Buy life insurance – This is not a pitch for life insurance agents but I encourage you to listen to one. If there are people already depending on your income, do not delay in buying a life insurance policy. Premiums are much cheaper if you buy it before you hot 30 and I also notice that premiums rise sharply when you hit your 30s and 40s. Just remember to buy a policy you can afford. There are many kinds of life insurance policies but I would probably stick to either a term insurance or a Variable Universal Life insurance or VUL. Term insurance if you want to maximize your coverage and keep your premiums low – the downside is that you do not earn from this kind of policy. I suggest that you buy term and also invest in mutual funds or you can buy a VUL which is a term with a mutual fund. Just make sure you chose a reputable provider and one who has a good record on after sales service. For your peace of mind, you may want to limit your choices among the top 10 life insurance companies. 5) Learn from your mistakes and the mistakes of others – For sure, you will make a lot of mistakes in your 20s – and your 30s, 40s, 50s, 60s and 70s. Along with many other mistakes you are bound to make, some of them are financial mistakes — bad investment decisions, wrong borrowings, wrong purchases, etc. But that’s life and the best way to respond to our mistakes is for us to learn from it and not repeat it anymore. As you make those mistakes, always look for the lesson behind those mistakes and learn to avoid them in the future. Great post Sir Randell. I’m so blessed that we were exposed to these kinds of information before hit our 30s. Hi, I just wanted to ask. How about us an OFW have no Idea how to saved and invest are money for good. I am in 30 of age now but I have no Idea about banking. Though I am still single and no family to go home after my 2 years of contract here in Jeddah. What is the best thing to do like me wanted to make and build my own home. I wish for your good advised and God Willing it would a great help for someone like me. I will wait for your good response God Bless to you all and more power…..
must read to all ages! blessed to have started investing before 30 as well. to all those interested to invest with Sunlife (VUL or term insurance or purely investment), I’m one of their licensed financial advisor. You may reach me at 0917-7760254 or 215-4789. Thank you for sharing, sir! Having a financial freedom is my target this year, and I’m glad that I bumped into this great and helpful post. God bless! It’s always good to start and fail as early as possible and as many times as possible. This is very timely. The earlier, the better. When someone hits the 30s, responsibilities are mounting up. This could be a time for building one’s own family or taking care of the parents. This article should be read by those starting in their careers and by those who want to be responsible in their lives. I’m planning to invest the earliest possible, after I hit 19. And this article is really great for those 30s and below and even to those exceeding that age. Thank your for this post Sir Randell. Thank you so so much! I am 25 years old, and I am now very excited to start a journey to attain financial freedom! I have no savings and no debts, so that is a plus or a minus. wahhhhh! really really excited! I am inspired! Thanks! Baby steps to a nation of Investors and not drowning in Debt! I am very much lucky that I started investing at a young age. I am 23 now and I have emergency fund, stocks and UITF. I don’t have life jnsurance yet, planning to get by age 25. Glad that I have started my journey. I am now hitting 26 this year with savings and just got VUL. Planning to open UITF or Fami soon. Maybe next year. I shoulda start earlier but I just got graduated from college 2013, but Im glad I managed to saved before I went to investment. bought life insurance at the age of 21. it helped me to be disciplined and it’s now fully paid up. It’s really nice to read this … I’m 24 right now and struggling on how I could achieve a stable cash flow. I have a job that pays me an above minimum wage and it’s been almost 2 yrs, yet my savings is not good. I know the problem is on how I budget my needs and my wants. And I still need to learn a lot when it comes to finance. I hope I could read more article like this. Thank you. Great tips sir Randell. Thanks for this, just to add for young professionals in their 20s, exert great effort in adding to our positive cashflows. Establish income streams as early as now, It will be easier while we are still single! Luck belongs to those who care to find this kind of read early. Thank you sir Randell! I am thinking of joining a mutual fund as well. If i do, should I also seek term insurance as well? My possible dependents would be my parents.what do you think? Great post Sir. Randell! I’m an Insurance Agent of Pru Life UK and I’ve been one of your avid followers for a long time now. Thank you for motivating and teaching the Filipinos about financial literacy. Congratulations on your success! By the way, if anyone here is interested to know more about Variable Universal Life Insurance (VUL), please don’t hesitate to contact me. I would be willing to meet and give you a free consultation. Thank you and God bless everyone! Wow-Thanks for sharing!I had wrong decisions and bad experience before because of greediness in the business but now I am recovering for what I had lost.